This Bourbon and Apple Cider Cocktail is the perfect Fall libation; plus it’s so easy and delicious! It’s been six years since I started doing a cocktail each and every Friday and I’ve been pretty determined to keep on task. I’ve had nights when it was midnight before a post was completed and/or I got myself up at the crack of dawn to do the same. Sometimes the time just gets away from me and sometimes it’s the light but this year I had an epiphany. While I want to keep to a schedule, sometimes it just gets the best of me and this year, Spring and Summer gardening projects have been the culprit that waylaid my schedule and I quit fighting it. I know I shared this photo before but can I just tell you how much I love this space? Every single meal; right here. 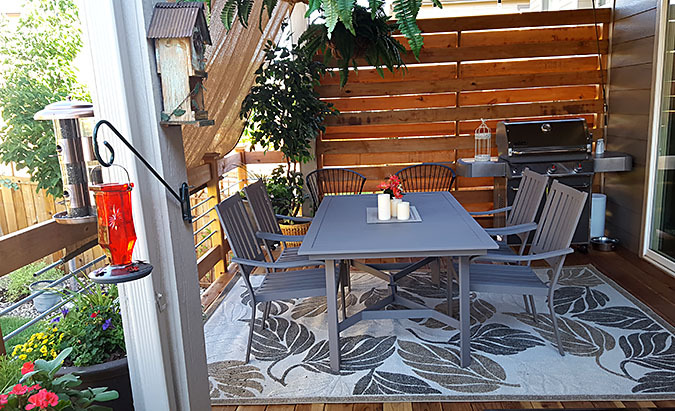 I’ve doubled my outdoor space with a whole new section with an outdoor sofa but it’s this space with my grill and table that gets the most use and was worth all the hard work to get it done. Peyton and Spot love it too…finding shade is everything in Colorado! So I’m rebooting this cocktail from half a dozen years ago but honestly, this Bourbon and Apple Cider Cocktail is one of my all time favorites and many readers missed it during the first go around. It’s simple, not too heavy and just about the perfect cocktail for Fall. New photos don’t hurt; I’ve learned so much in the half a dozen years since this was first published! I love using apple cider for cocktails; especially since realizing how amazingly easy it is to make (and how amazingly good homemade is to drink!). I made this Apple Cider Bellini too; not just perfect for a Fall brunch…I think they are a fantastic cocktail for Thanksgiving festivities! If you’re not into making your own cider and live in the Denver/Boulder area, I’ve had some great cider from YaYa Farm & Orchard in Longmont, Colorado. If you want to find an orchard near you for apples or cider, check out the Orange Pippin online directory. Apple cider is really just raw, unfiltered apple juice that has not gone through any filtration to remove the course particles of pulp or sediment like the juice has. In a commercial cider mill, apples are washed, cut and ground into a mash the consistency of applesauce. The mash is then usually wrapped in cloth and put through wooden racks of a press where the layers are squeezed and the juice is pressed out and put into refrigerated tanks before being bottled. Typically it is not pasteurized like apple juice either so it has a much shorter shelf life…and for me a much more robust flavor. For all of the cocktails I’ve enjoyed lately with cider, this one is still my favorite. It could not be easier to prepare and the combination of flavors is spot on. The tartness of cider combined with the sweetness of bourbon all complemented with some sparkling ginger ale (or ginger beer) is really pretty perfect. When I had a ‘Girls Nite In’ at my house for some new neighbors the first Fall I lived here, I made this the featured drink. Amy, my neighbor across the street hesitated because she professed to not liking bourbon. I convinced her to at least give it a taste and as a result of her leap of faith, I started her on a journey of discovery and now I’ve got a convert; it’s all about not being heavy handed with this elixir of the Gods! I think Fall is finally showing itself in Colorado so this is perfect. We’ve been having late summer temps to rival those in July but today it’s cooler and only 68 degrees outside. You know when the world starts to herald the advent of Fall with many proclaiming it their favorite season I don’t get it and maybe today is a good reminder of why. Fall in Colorado can be fickle and it seems that just when temps start to become more moderate our first snowstorm follows shortly thereafter. We might have a season called ‘Fallish’ but it’s just too short and my lamenting the ending of Summer is because winter is just right around the corner. So today, with the breeze and coolness in the air I’ll enjoy this brief moment in time with this absolutely perfect Fall libation and you need to join me. If Amy likes it…betting you will too! Plus…want more Apple Cider Cocktails? I’ve got you covered! More Favorite Apple Cider Cocktails! The perfect fall cocktail with the flavors of apple, bourbon and ginger. 2 ounces Ginger Ale, chilled - I recommend finding a good Ginger Ale or even Ginger Beer...one that really has an evident taste of ginger. Combine the cider and bourbon in a cocktail shaker filled with ice and shake until very cold (if serving a crowd, combine these two ingredients in a pitcher and refrigerate for at least an hour. Strain mixture into an ice filled glass and top with the chilled ginger ale. Stir gently. I love the cute star shape in the center as much as the next guy but for practicality sake, well, you have to get to the center of the apple. I don't advise wasting most of the apple for that effect. Simply use a small star cookie cutter for the other slices. The nutritional information above is computer-generated and only an estimate. Please do your own research with the products you're using if you have a serious health issue or are following a specific diet. For summer tasteful drink, apple cider cocktail. Very refreshing and cooling. My dear friends love this recipe also. Please share more recipe like this. So yummy and easy to prepare. Thank you. I need it for my party at tonight. Thanks! 2 parts cider, 2 parts ginger ale, 1 part bourbon. Just made this now. Tastes likes the holidays. So glad you enjoyed it…and it really does! Fantastic! Served it today with Thanksgiving Dinner and it was a huge hit. Yay…always love hearing about a new convert. Cheers Vera! Just made one of these and am incredibly happy! This is a perfect drink to spend a good night with friends and is a great addition to any Saturday night table! 🙂 Thanks! You’re most welcome Elaine; so glad you enjoyed it too! Ahhhh! My Haroldson apples are ready and I want to thank you so much for this delicious recipe!! I added cinnamon as a topping. 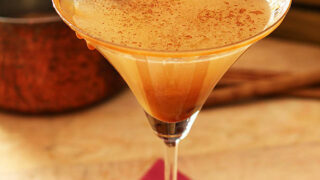 I’m thinking a cinnamon sugar glass rim next time! That sounds like a fun idea Kris. You know what I love for rims? Cake decorating sugars. They are a much larger crystal so especially pretty and really add a fun crunch too. Glad you loved this; it’s truly one of my favorites. I’m drinking a Dark and Stormy at the moment. Totally different from this, of course, but kinda sorta distant cousins. Particularly if you use ginger beer in this! And I’d definitely vote for ginger beer — love the stuff. I love the stuff too although it’s still isn’t as widely available so I don’t want anybody to not drink this if they can’t find ginger beer! Thanks for this creative cocktail Barb. It’s a new way to enjoy my regular Apple Cider remedy. You’re awesome! Thanks John…this is truly one of my favorites so glad you like it too! With Halloween and Thanksgiving right around the corner, your timing with this cocktail is perfect. Finding ginger ale here is often difficult but there are truckloads of ginger beer. The Sunshine Coast grows more ginger than just about anywhere else in the world and ginger beer is the go. We also can’t buy apple cider in the store. I bought some unfiltered apple juice today that I’m reducing to a syrup for a recipe but the juice was sweeter than any cider I’ve ever tasted. Your cocktail looks very refreshing! Being from a southern family that would find any excuse to find clever ways to drink bourbon ;-P … I’ve heard this called everything from a Missouri Mule (play off of Moscow mules especially if served in chilled copper mugs) to Apple Jack to a Tennessee Kicker … if you want to zip this up a bit … the comments about finding a good ‘ginger ale’ … I would suggest any good ‘ginger beer’ (more ginger less corn syrup) also add a dash of Angostura bitters and a dash of lime juice and garnish with a bit of mint. If you want to get really fancy Add your ingredients … apple cider, angostura bitter, lime juice and a teaspoon of confectioners sugar to a shaker with ice … put your bourbon in the glass, shake well (the sugar will add a sweet froth to the top of your cocktail) pour enough to fill your cocktail glass halfway up then add a dash of the ginger beer for carbonation and ginger flavor and then top the drink off with the rest so it’s got a nice foamy top. Garnish as you wish, I prefer the preceding garnish with a maraschino cherry and an orange slice but the apple slice is nice as well. Enjoy. Those changes all sound great but then it’s a totally different cocktail isn’t it? I love that this one is simple with readily available ingredients especially when I’m serving a crowd. I do love ginger beer but even in a city the size of Denver it’s another trip to a specialty store. I have a lot of readers that can’t even find it! A shame isn’t it…it’s definitely got the ginger kick a cocktail like this benefits from. Fever Tree has a very good ginger beer and ginger ale. Always fun to see the return of a good one! 🙂 Thanks. I made this cocktail last Thanksgiving but used Ginger Beer instead of Ginger Ale. Delicious! That would be good; for the longest time I thought Ginger Beer was beer and avoided but now that I know? LOVE it. Hi Barb! Love this cocktail (although I’m sorry to hear about your car). We serve a cocktail called a Cider Smash every Halloween, which is cider and bourbon, but I really like the idea of adding ginger. We have some fantastic local ginger beer that I think would work well so will be trying this soon! Hi Barb,I’m back in my hemisphere now (it’s 3.30am here – jet lag strikes) and I love the sound of this one, even though it’s spring here, but have a few questions for you. Is the apple cider you have used in this an alcoholic one, or simply unfiltered apple juice? What is the difference between ginger ale and ginger beer – I think they’re pretty much the same down here? And is the type of bourbon you used important, or would JD do? Non alcoholic apple cider. We call the alcohol version Hard Cider. I found this site with info on difference but for me? The Ginger Beer is a bit stronger. I like it but it’s not at the grocery so I just used plain old ginger ale last night. I actually prefer something with a bit more ginger taste so might try the beer next time. Oh yesssss! This looks sooooo amazing! I love cider…. cider with bourbon? To die for! I love all the components of this cocktail and am ready for some balmy fall days! I am all about making apple stuff for the fall. This looks so good! Me too and thank you! Lovely! I so enjoy these fall cocktails, and I bet this one is a dream. Cheers! Love the flavour combination! How delicious! This cocktail is as close to perfect as it can get. 🙂 Cider, ginger ale, bourbon…yeppers, this is delicious! It was almost 100 degrees here but your cocktail helped me daydream that Autumn weather just might get here eventually. 🙂 I am hoping Sonic will let me buy a bag of their ice the next time I am there…love those ice pellets! This cocktail sounds fabulous! I’m not a bourbon drinker at all either, but this I would drink. Maybe even two. I have a friend who is also ‘not a bourbon drinker’ Katherine who has in fact enjoyed some of my cocktails. It’s using a light hand that counts and then it a wonderful, sweet, rich presence! I love seeing the Autumn dishes and drinks. It’s not quite summer here so I’m able to take advantage of clever ideas for a few weeks yet. This drink is a winner. We have this teeny window huh…so hope you partake and enjoy! Good drink, and I love the combo of bourbon and apples. Dark rum and apples works, too. Sorry about your car. We don’t drive often, so I’m wondering a bit about our battery. But I do have one of those charger thingies you plug in the wall, so one hopes we can at least get it started if it dies. This is so going down is weekend! Love it! Thanks for another great cocktail Barb! We will have a neighbours barbecue party next weekend and this seems like a perfect drink to serve, cheap but also very strong enough to make you want to party hard! I was wondering how long ahead can I make this drink because I need to plan ahead and the party in 7 days. You can combine the bourbon and cider a couple of days ahead of time but you’ll have to wait until you serve it to include the ginger ale or it will lose the fizz! This was delish….great change from usual glass of white wine. So glad you enjoyed it and thanks for taking the time to comment…knowing people are making my recipes and enjoying them? Well, that’s what it’s all about! Oh my dear me…. this looks like exactly what I need in my life! I made this for an event night, as a special cocktail, only I used Martinelli’s sparkling cider. Mixed it all together in the parts you have in the recipe, in a shaker with some ice, and then poured it over ice with a lemon twist. Went over big! Great idea Rina including the twist. The apple slice is cute but to get them? Maybe 4 max from each apple? Lemon twist would be pretty and just a bit more realistic for a crowd! Great cocktail, Barb. I have good friends who are bourbon freaks. The last couple of times, I just let them help themselves to bourbon on the rocks. NEXT time, I’m making them drink something “seasonally relevant” like this. I prefer cider over juice. More depth!! Yum! It’s not Friday, but I could really use one of these right now. Looks fabulous for fall! It’s a keeper Jen…and I think I could use one right about now too and it’s hours after you said the same. You know…an elixir to help me sleep! I have a fireplace; guess it means hopping on a plane. I have the rooms too. BB could have a B&B if she wanted to! Thanks Winnie…I love it’s both easy and fantastic and so perfect for fall. Thanks for participating Liz…I plan to do one each Friday and welcome your drinks and appetizers! This looks yummy, yummy, yummy. I do love the mellow flavor of cider, and bourbon would be the liquor to accent its flavor. Going to have to try this. Absolutely the perfect fall cocktail! I just love it. Thanks for hosting again this week! Such fun. The ginger ale really is a great idea. Hooray for fall. I saw y’alls front coming in the other day. I hope it comes here soon! 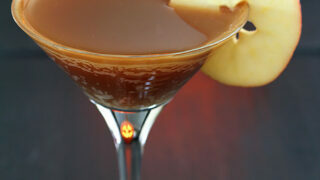 Not sure what your criteria is for Happy Hour Friday, but I’ve added a Washington Apple Martini from last year. I write an occasional Thirsty Thursday post. Your apple cider and bourbon cocktail looks delicious! My criteria is pretty simple…I don’t care what the date is so much as that it’s a season addition to the list…so your addition is perfect. Certainly visit after any of your Thirty Thursday and add it…cocktail or appetizer! Mmhm, I’d totally go for this! Love love Cider! Thanks Nelly…fresh apple cider is so good I could have easily finished off that half gallon in one day I think. Glad I saved it for a cocktail or two. This looks amazing. Would you consider posting the recipe at Everything2.com? We’re running a quest for autumn-themed write-ups right now and your cocktail would be a wonderful addition! I really hope I can find a bottle of Makers Mark tomorrow! 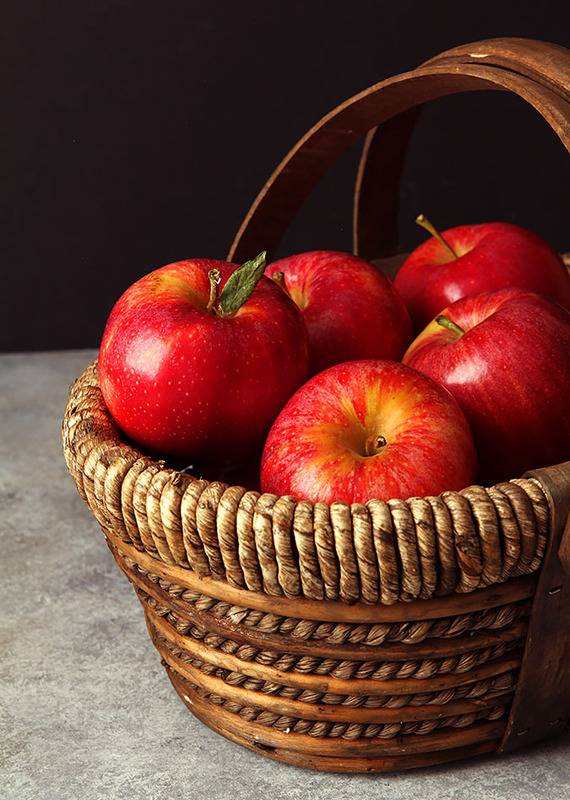 What a lovely recipe Barb and the photos of the apples are just beautiful! Thanks Mona…I squirrel the Maker’s Mark away for real drinks like this. I love how smooth it is and can not deny, I love their bottle too. Glad you could join me Shulie…and don’t forget you can add an appetizer too. We need something to eat with our cocktails! love the apple cider combo here :). welcome to our #applelove bloghop! We had our first taste of fall this week – RAIN!! It was just a teaser though – supposed to get back up towards 80 this weekend (sigh…). This to me is the perfect fall cocktail – it has a short list of ingredients and embodies everything I LOVE about fall!! One of these days, hope we will get to enjoy one of these cocktails together in person!! The temps have dropped today and we are getting SNOW! Not much but still…snow. Brrrrr!! And yes, one day, sipping together has to be on the agenda. You are right that somehow bourbon and apple cider just scream autumn!! Which is, of course, my favorite season. I miss american apple cider! This drink looks so delicious… and would so work at an apple-picking or pumpkin carving party, wouldn’t it? Would be perfect! You know…apple cider is not all that hard to make…you should try it and then of course call it ‘French Apple Cider’ and we would all presume it has some magical quality to it like we do all things French. You are going to have to write a book on these beautiful cocktails you are creating, if not for the stunning photographs alone! Another great drink Barb and again, so beautifully photographed. Thanks Paula…someone else said the same to me on Twitter and I must say…that might be a book I could wrap my arms around. I would be sloshed everyday though from trials! This looks so inviting and refreshing! Mmm, love the addition of ginger ale. I also love hot cider with Captain Morgan this time of year. With the cold and snow of this morning…I think I could do your hot version for breakfast! Oh this one is right up my alley. I’ll definitely be giving it a try. Cheers Deb! Just find good ginger ale; most of the stuff in cans is almost indistinguishable from 7-up; you really want that bit of ginger in there. I just woke up, but this has got me looking forward to the end of the day. It was an experiment that had a great finish…loved the cocktail.